Since we’ve had our senses bombarded by hearts, flowers, the color red, love and chocolate this week–or has it been since Christmas–how about I take a look at loving myself? By loving myself, I treat my mind, body and soul with respect–(not total adoration)–because by doing positive things for myself, I’m empowered to be a positive force of love to those around me. 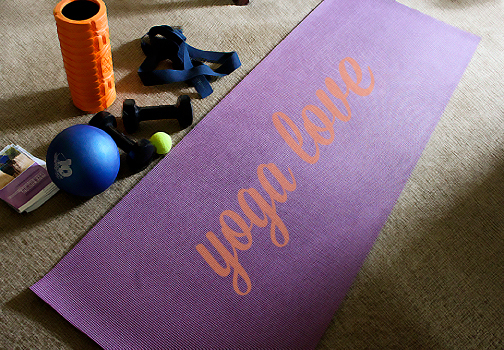 If I want to show love for my body, I turn to YOGA, combined with weight lifting and exercises I’ve learned from friends, family, personal trainers and physical therapists. It’s necessary for me to be consistent with what I call my ‘yoga et al’ routine, if I want to do the exercise I truly LOVE–WALKING. until my bones start creaking. To reward my body for achieving successful meanderings, I apply ice or heat to aching body parts. If I want to show true love for my feet, I’ll set up my foot spa with essential oil-infused hot water, giving my heels, toes and bunions some well-deserved pampering.